The following is the Childers Group’s response to the arts component of ACT Budget 2014-2015. It follows the structure required by ACT Treasury. Our submission resulted in an invitation to present to the 2014 Estimates hearing, which we accepted and put forward our views on 13 June; the Childers Group was one of only two arts organisations to be involved in the budget process. We’ll post a link to Hansard once the transcript is available. 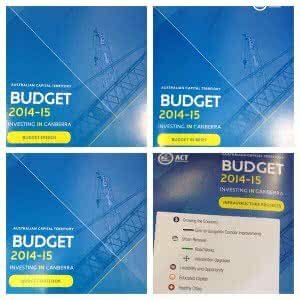 Our original budget input, submitted prior to the ACT Government’s announcement of the 2014-2015 budget, can be found here. The lack of growth of the ACT Arts Fund – the ACT Arts Fund is the ACT Government’s key arts development mechanism. It supports approximately 20 key arts organisations and a wide variety of programs, as well as groups and individual practicing artists. The Childers Group understands that the Fund receives additional annual funding of an amount that roughly equates to CPI (2.5%), which is ‘passed on in full’ to the key arts organisations. While this modest increase is critical, it is not enough to compensate for the increase in the ACT’s population in recent times. For example, in 2004 the ACT population was 324,000 and it is currently anticipated as 383,000 (source: http://www.cmd.act.gov.au/policystrategic/actstats/population). Therefore, in the space of a decade, there are approximately 60,000 additional people residing in the ACT, many of whom are looking to engage with the city’s arts and cultural sector. What is needed – and the need is becoming increasingly urgent – is a significant funding boost to the ACT Arts Fund, potentially $300,000-500,000, to help cater for the additional demand and the demonstrable increase in costs of delivering arts programs. This would ensure the ACT community has access to a diversity of high-quality arts programs, and that the organisations delivering these programs can do so in a sustainable manner. The viability and sustainability of the ACT’s key arts organisations – as noted in our budget submission, the Childers Group is extremely concerned about the ongoing viability and sustainability of the ACT’s key arts organisations. These organisations, which are the backbone of the ACT’s arts sector and enable a large proportion of Canberrans to engage with arts and cultural activity, have – in the main – limited staffing resources and stretched programming budgets, all the while trying to meet the forever increasing demand. While many of these organisations have had success in diversifying their income from non-government sources, opportunities are limited in a jurisdiction where the public sector dominates. Additionally, with the recent loss of a local branch of the Australian Business Arts Foundation, and the national refocussing of that organisation into Creative Partnerships Australia, there is now no ACT-based business/philanthropic brokering body to support local arts organisations who are seeking private-sector support. Further, the Childers Group is concerned about the recently announced cuts to the Australia Council for the Arts and the impact this could have on the ability of the ACT’s arts organisations to access federal arts funding. The funding boost to the ACT Arts Fund mentioned above would go some way to addressing these concerns. Arts in education – the Childers Group remains concerned about the lack of specific funding of arts-in-education programs, as identified in our budget submission. To break the longstanding disconnect between the Education and Arts arms of the ACT Government, what is needed is a specific arts-in-education program to ensure school-aged children have access to a wide range of high-quality programs. The Childers Group has previously advocated for an ACT Arts-in-Education Officer to broker relationships across the ACT Government and between government, schools, and program providers, such as the ACT’s key arts organisations. ACT Screen Investment Fund – the Childers Group is concerned about the future of the ACT Screen Investment Fund and seeks clarification from the ACT Government about anticipated directions and plans. 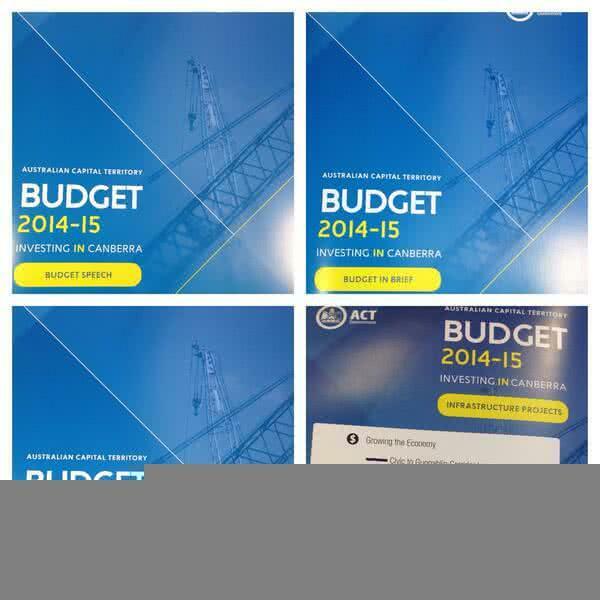 What are your views on the ACT Budget in relation to your priority areas? The Childers Group applauds the ACT Government’s ongoing support of the ACT’s arts and cultural sector. The 2014-2015 budget papers identify a figure of $30.1M being the total investment in 2014-2015 – this is a significant amount for Australia’s smallest state/territory jurisdiction. However, what is the breakdown of this funding? The Childers Group understands that $12.743m is invested through artsACT (CSD Output Class 3.2: Arts Engagement 2014-15) and $16.032m through the Cultural Facilities Corporation (CFC Output Class 1: Cultural Facilities Management). However, the 2014-2015 budget identifies that only $8,502,000 of this funding as being dedicated to supporting arts activity. While we note that this is an increase from $8,389,000 in 2013-2014, it is the Group’s understanding that only a maximum of $5M is specifically targeted at arts development – that is, supporting the ACT’s key arts organisations, arts programs, and practicing artists. As noted previously in this submission, this amount had been decreasing in real terms due to the costs of delivering programs and projects. In addition, there are now significant budgetary pressures on key arts organisations in attracting and retaining skilled personnel, and, in many cases, managing the rising overhead costs associated with maintaining and operating key cultural facilities. All key arts organisations must balance the business/commercial aspects of their operations whilst providing creative engagement for the ACT community. The ACT Arts Fund is no longer able to meet these increasing costs and the community’s demands on the ACT’s key arts organisations. Are there any other particular issues with the ACT Budget that you would like to bring to the Committee’s attention? Yes. As mentioned elsewhere in this submission, the Childers Group’s key concern is the lack of real growth of the ACT Arts Fund. The current funding level has fallen behind demand, particularly in terms of the ability of the ACT’s key arts organisation to deliver high-quality and sustainable services but also the ever-decreasing funding available through the Project funding category. Did you provide a budget submission to the ACT Government? Do you think that the ACT Budget has addressed the issues raised in your submission?